Ever lied down in the wilderness and watched the starry sky above? Well I have done it countless times and the more I sky gaze, the more I am overawed with the Nature and its wonderful creations. The glittering dots studded on a fathomless sky are a treat to watch and thank the Nature for having blessed us with such a repository of astronomical objects that make us wonder what are these and how would these actually look like from close quarters. While the Hubble Telescope provide us amazing photos of the world of galaxies, starts and comets up there, novices and astronomy lovers still need gadgets and aids to peep into something that is not visible from naked eyes. And we know that it were these aids that allowed the early and pioneer astronomers to find stars and constellations for us. As an armature photographer and astronomer, tele-lenses and telescopes are my passion and am always on the lookout for the best. But like any novice astronomer, the choice of selection is always difficult as there many types of telescopes available in the market. Since telescopes differ from the level of user and type of view required, one has to be very careful in selecting the right kind of viewing aid based on one’s experience, expertise, and pocket of course. Remember, the telescopes for sale in the market are like tempting delicious dishes, too yummy to resist. So which type of telescope to buy, depends entirely on what one is looking for in the sky up there? 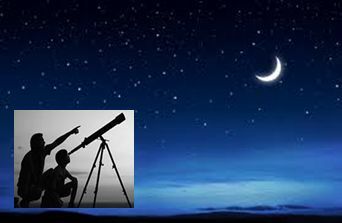 There are separate telescopes for terrestrial and planetary observation while for viewing distant galaxies and objects deep into space there is a complete different range of optical devices. Some caring telescope selling vendors even provide advisory service for the starters to make a selection and may advise buying used telescopes as these are not heavy on one’s pocket and still prove operable devices. I have already started studying various types of telescopes before I make my final selection. And I think a little research would be beneficial for me, my viewing and of course on my limited budget.